babus of india: Indra Nooyi to Cyrus Mistry: Who are the corporate bigwigs spotted in corridors of power? Indra Nooyi to Cyrus Mistry: Who are the corporate bigwigs spotted in corridors of power? PepsiCo, an American multinational food and beverage corporation headquartered in Purchase, New York, may develop processed food products to be supplied as mid-day meals in rural India. 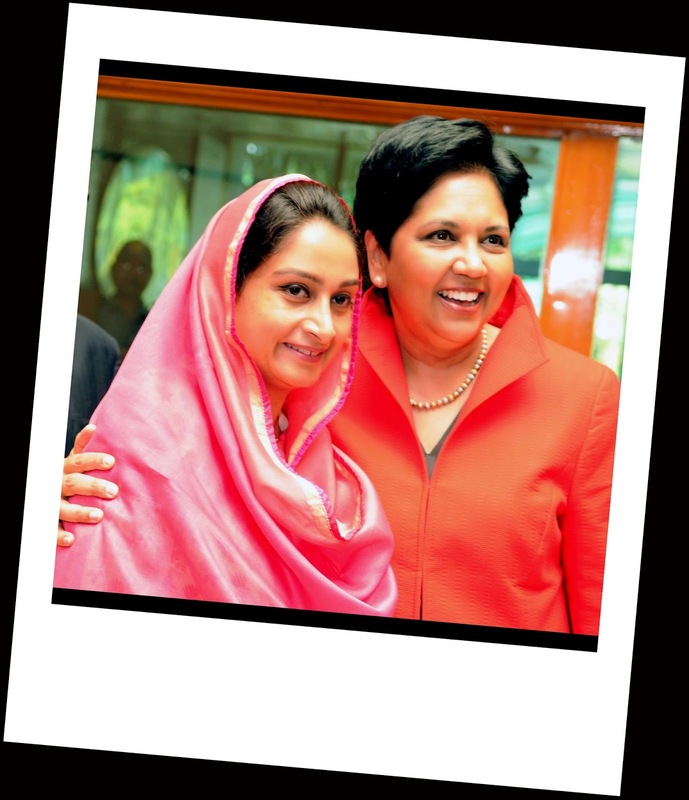 As this photo suggests, Nooyi-Badal meeting was unusually friendly, and not a typical minister-industrialist encounter. The minister suggested that PepsiCo must bring down the sugar content of soft drinks and bring out new products in the market that are tasty as well as healthy and nutritious. Meanwhile, Flipkart’s exclusive agreement with DC (Handlooms) will provide weavers in India online marketing platform, infrastructural support in data analytic and customer acquisition to help them get remunerative prices for their products and scale up their business, according to a government statement issued after the signing of the MoU on Monday. Flipkart will provide online marketplace for sale of the products of the weavers and master craftsmen including national and state-level awardees as advised by Development Commissioner for Handlooms. Flipkart or their business partners will have collection centers to collect the handloom products. On July 3, Facebook COO Sheryl Sandberg called on prime minister Narendra Modi who in turn discussed with her on how Facebook could assist India in commemorating Mahatma Gandhi’s 150th birth anniversary year with a special focus on cleanliness. Among the Indian corporate honchos spotted in corridors of power, $96 billion Tata Group chairman Cyrus Mistry was the most notable. Mistry who could not attend Modi’s swearing-in ceremony as he was outside India, had a meeting with the PM on June 13. Later, the Tata Group announced it would invest $35 billion (or about Rs 2.1 lakh crore) across sectors in the next three years as part of its vision for 2025. Many in corridors however wonder that Reliance honcho Mukesh Ambani has not had any such meeting with PM in the first 100 days of Modi Sarkar! MID-DAY MEALS: PROCESSED versus CONTAMINATED? 3) greedy MNCs to capture yet another hitherto unexploited Indian market for their products! Makes you wonder, doesn’t it, who’s behind that mass contamination and poisoning of mid-day meals that robbed so many children of their lives, and parents of their dreams? A propos exploitation of gurdwaras and their worshippers by the Government of India through shirking of the government’s own responsibility of feeding and sheltering the under-privileged, what has the Government of India done to prevent the exploitation of gurdwaras by foreign tourists who have money power? Is Government of India, and its branches abroad, not aware that guide-books in different languages, aimed at backpackers, as well as travel websites for independent travelers recommend gurdwaras for ‘free stay and free meals’? They have been doing that for decades under the eyes of Government of India’s representatives. In view of the above, processed/packaged food for mid-day meals would help diminish to some extent exploitation of the already long-exploited community of Sikhs, and give some nourishment to needy schoolchildren. What would help further reduce that minority community’s exploitation (as well as exploitation of Indian tax payers’ across communities) would be for Government of India to instruct MNCs like PepsiCo to provide FREE processed/nutritious/cooked mid-day meals to under-privileged school-kids as part of the ‘Corporate Social Responsibility’ scheme it introduced, and at no cost to tax payers. Even better, MNCs like PepsiCo could offer processed mid-day meals free of charge to other foreign freeloaders, too, who are incentivised to visit India through exploitative travel publicity channels that advise them to sponge off the Sikh community worldwide instead of contributing something worthwhile to it or to Government of India’s rapidly depleting tourism coffers. I have met foreign tourists who openly acknowledge they come to India with next to no money in their pockets because they can get everything for free. Why are ministers complaining about ‘no income from foreign tourist inflows’? 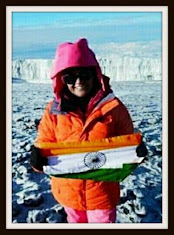 They need to fulfill their responsibilities, and approach foreign tourism in India from a different perspective. Exploitative Tourism is not Responsible Tourism, in the same way that an exploitative mid-day meal scheme can not be called fulfillment of Government, or Corporate, ‘Social Responsibility’.